If you’re looking for a full-service facility that feels like a spa, a medical spa might be exactly what you seek. Medical spas – also called medi-spas – offer specialized services that go beyond what you might find at a typical day spa. Below, we explore how day spas and medical spas differ – plus some things they share in common. Day spas are soothing retreats where you can recharge your batteries and refresh your skin and mind. A day spa’s main goal is total relaxation. Medical spas, on the other hand, aim to keep the low-key atmosphere while providing top-notch, supervised cosmetic treatments. A day spa might offer facials, mud wraps, and other noninvasive treatments. But medical spas offer skin treatments that go deeper than the surface of the skin. Any type of treatment that breaks the surface of the skin using needles or a scalpel is considered medical treatment, and it is therefore required to be performed by a trained medical professional. In order to maintain top-level safety and excellence, a physician oversees the operation of a medical spa. And, you will be able to see a medical professional before receiving any type of medical treatment. In this way, all state and national laws are covered. Who Performs Treatments at a Medical Spa vs. a Day Spa? At a day spa, specialists such as licensed massage therapists or spa technicians perform treatments. Day spas usually do not have any medical professionals on staff. At a medical spa, a doctor, nurse, or nurse practitioner will oversee or perform treatments. This means you will be able to receive medical treatments for a range of cosmetic concerns. A medi-spa delivers long-lasting treatments that are properly administered and monitored. Keep in mind that all states regulate cosmetic and medical procedures differently, so check before making your decision. Chemical Peels – These specialized solutions have more potency than those used at a day spa. Medical-Grade Facials – Higher-intensity solutions can be used at a medi-spa than at a day spa. Because there is medical supervision, you can expect more effective results – with safety ensured. 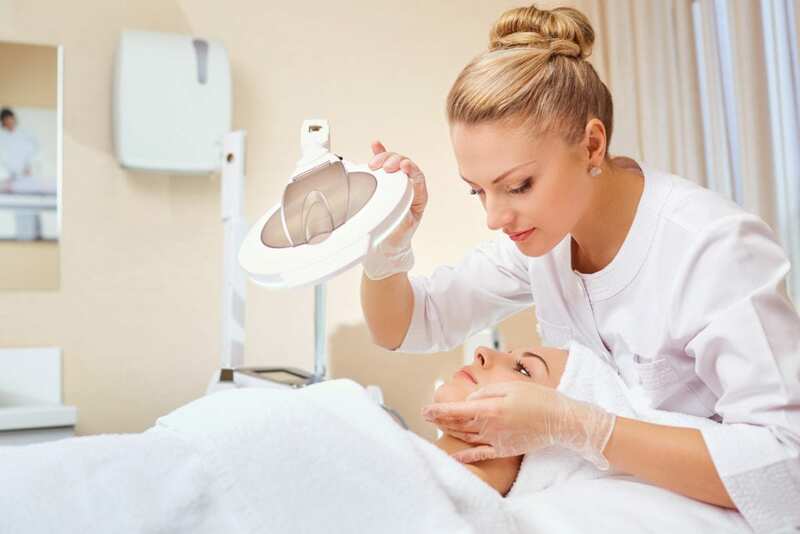 Microdermabrasion – This exfoliation process removes dull and dead outer layers of your skin. Blemish Removal and Skin Brightening – This procedure improves the consistency and luminosity of your skin. Microneedling – This technique enhances your body’s own unique ability to heal and restore tissues. RF Treatments – These use radio frequency (RF) technology to help lift and tighten skin tissues. Dermal Fillers – This minimally invasive procedure is used to fill in those lines that form as we age. BOTOX® Injections – This is the popular and proven way to rid yourself of deep furrows in your brow and other areas. To discuss a business concept relating to medical and aesthetic services, call Cosmetic Medical Partners today at (718) 268-6060. We welcome all national and international investors and partners, including doctors, nurses, potential joint venture partners, potential clinic managers, and strategic alliances. You can also complete our online consultation request form here. We look forward to discussing how we can partner with you in the cosmetic medical field.